AMMAN - Talal Abu-Ghazaleh Organization (TAG-Org) called on all institutions and individuals in Jordan and the Arab countries in possession of the 10-inch or 14-inch TAGITOP; the top-of-the-line laptop with an Arab design and investment, to either visit the headquarters of the Organization or communicate with any TAG- Org offices, in order to receive free installation of an upgrade to increase the speed of their device. This initiative comes in line with HE Dr. Talal Abu-Ghazaleh’s vision towards transforming into a knowledge-based community by providing high-speed computers that keep up with technological developments and advancement in a rapidly changing world. Therefore, TAG-Org urges TAGITOP holders who wish to upgrade their laptop speed to contact its IT Technical Support Department to replace the (Hard Disk) with a new (120 GB SSD) free of charge, by contacting the Department on 065100250 or via email: helpdesk@tagorg.com. Through this initiative, launched in 2010, the Organization distributed approximately 10,000 laptops to institutions and individuals in Jordan and the Arab countries. Furthermore, TAG-Org established more than 300 knowledge stations in universities, public institutions, charitable societies and youth organizations in Jordan, Palestine and Egypt equipped with furniture, TAGITOP devices, training programs, in addition to free Internet access via its own Internet line established since 2007. TAGITOP initiative aims at increasing the level of information literacy in the Arab region, bridging the digital gap, building sufficient skills in information and communication technology (ICT), in addition to enhancing knowledge-based economy in the region driven by the spirit of innovation. 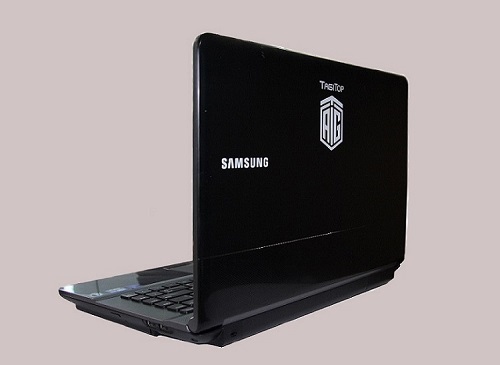 It is worth mentioning that TAGITOP was designed and produced in partnership between TAG-Org and Samsung Electronics for the launch of the first generation of the laptop in 2010, with the launch of the second generation taking place in 2012.